Hi. My name is Bridget Sullivan Mermel. I started a fee-only financial planning firm, Sullivan Mermel, Inc. We especially enjoy working with attorneys, small business owners, near retirees, and clients interested in socially responsible investing. We practice in a small niche of the industry called fee-only, which focuses on giving un-biased advice. We don't take commission, get kick-backs, or sell products. We have no hidden agendas. Our focus is on giving our clients the best comprehensive advice possible. I started out with a tax practice in 1997. I could see that clients wanted and needed help not just with their taxes, but with other areas of their personal finances, too. When I found out about fee-only advising, with its emphasis on giving bias-free advice, I was hooked! I love helping people understand and improve their fiances. I worked as manager and district manager during the start-up phase of Starbucks. I also worked supporting high profile litigation and in the back office of a derivatives firm. I have a BA in Accounting and Marketing from the University of Wisconsin, Madison and a Masters in Liberal Arts from DePaul University in Chicago. 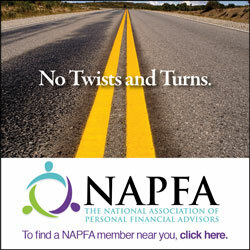 I am a Certified Financial Planner™ as well as a Certified Public Accountant. Recently a client emailed me to ask, “What is the best credit card?” Then, at a family holiday, four of my nieces and nephews asked the same thing. I have mixed feelings about credit cards. As with most financial planning decisions, picking a credit card is a good opportunity to check in with your values. Can you express your values while picking a credit card? The answer is a qualified yes. When nonprofessional investors are able to put money into small businesses, everyone can benefit. I met with Paul on Tuesday. He is the CFO of a business start-up. He’s not sure if the next phase of his company’s financing is going to go through. Although he believes in the business model and the mission of the company, some days he thinks he won’t have a job in three weeks. If I just tell Nate, “Don’t sell now,” I think I might be missing something. There are plenty of stereotypes about how certain people behave around money — stereotypes I’ve often seen contradicted in my experience as a financial planner. Let me debunk some of these money myths for you. Myth One: All millennials are mooches.